And When Should You Join The Party? Virtual reality or ‘VR’, after 3D, seems to be the new buzz word these days amongst people, with promises of immersion and experiences unlike you’ve ever experienced in an interactive environment. So does all the hype surrounding it have any weight behind it? Definitely yes, but for the average consumer is it even a viable option? Let’s go back a bit, figure out this new phenomenon that most definitely will be the most discussed topic in the coming months. Virtual reality experiences for those who aren’t familiar involves immersing a person completely into a digital world by putting on a headset that blocks your view of anything else but the screen in front of your eyes, so it allows you to look around in complete 360 degrees at the world the VR device is showing you. The experience is something that has to be tried to actually be understood, the feeling isn’t something that’s easily demonstrated. Everything from flying like birds to walking around in beautiful environments to small mini games, the possibilities are endlessly awesome. But VR, in the form we see it as today, first showed up in the 1980s, the term first being coined by computer scientist Jaron Lanier. 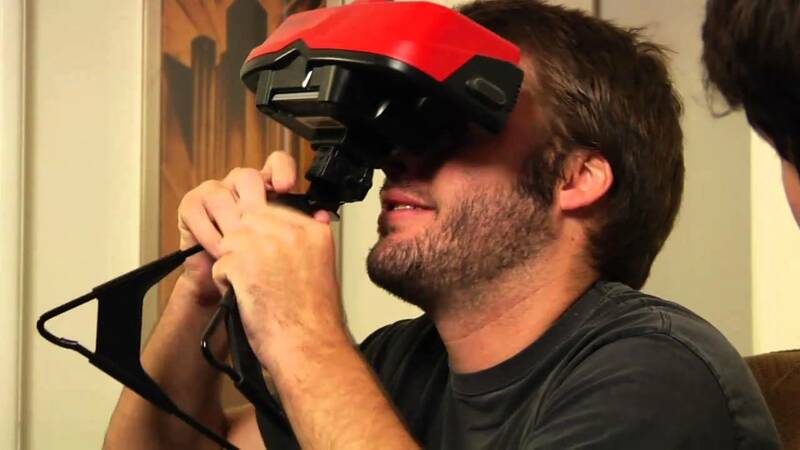 This is also when companies like Nintendo tried to be innovative (and failed miserably) in bringing a virtual reality headset to the consumer level, by introducing the world to a 3D virtual experience while playing games with The Virtual Boy. Unfortunately, the technology wasn’t up to par at the time and the most of the headsets we saw coming out of those times were too clunky and had awful graphics, being more of a pain to use than fun. Nowadays with the new resurgence in VR related media and hardware, there are a lot of options out there for a person interested in jumping on the VR bandwagon. 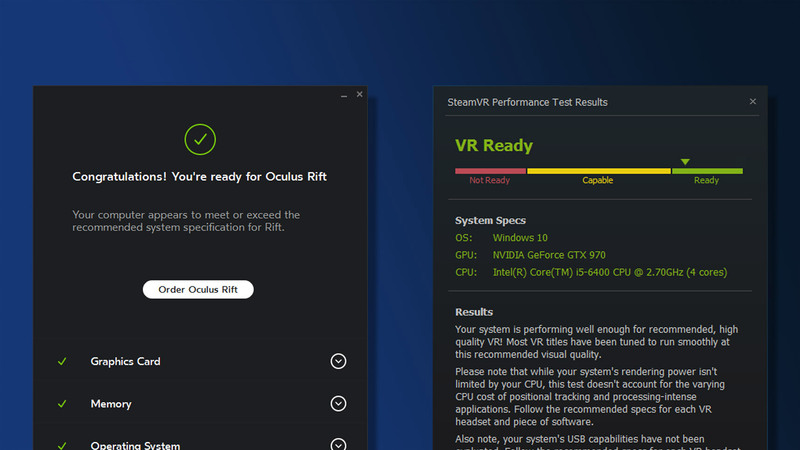 The announcement of the Oculus Rift a few years ago is where the initial interest in VR came about, now with the final consumer products releasing this month the public can finally get their hands on the headsets. Along with Oculus, there are many other companies getting into the VR space but there are 2 other devices that are its main competition, namely the HTC Vive and Sony’s console based solution The PlayStation VR headset. These 3 are the ones that are probably going to be the most in the people’s minds in the upcoming months. All VR devices operate basically around the same basic structure of a headset with a high quality, high refresh-rate screen in front of your eyes with each eye getting its own image to give a stereoscopic effect, along with head and motion tracking for complete 360-degree immersion. The Rift was the first in the VR space, it came out with a successful kick-starter project in 2012 and subsequently provided its development kits over the years to devs and whoever backed them, before being acquired by social media giant Facebook last year. It released its final consumer product this month for a whopping $600 (Rs.40,000). 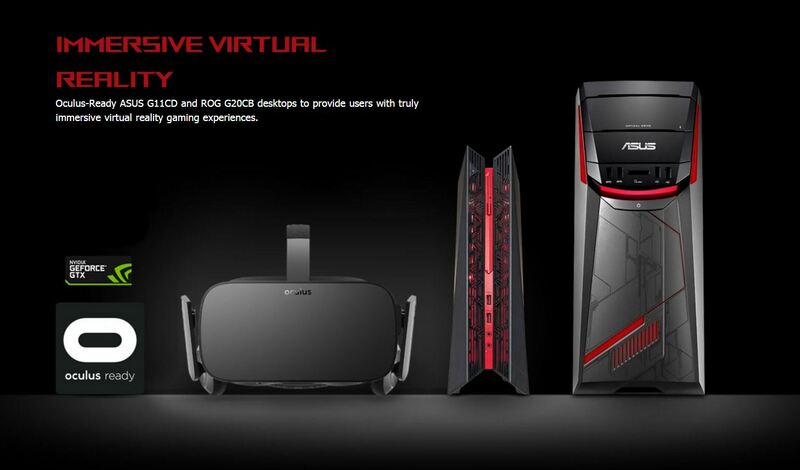 It comes with the headset which has a load of sensors for motion tracking and has screens on the inside with resolution of 1200 x 1080 per eye with a refresh rate of 90 Hz (high refresh and frame rate is important for VR, we’ll get to that) for displaying the VR content. Also included in the package is a sensor module that rests on a table in front of you for motion tracking the headset in the VR space, an Oculus Remote control for navigating the Oculus software and a Xbox One controller for playing games. The Oculus also comes with its own custom headphones that fix on to the headset, but are removable and any pair can be used if desired. 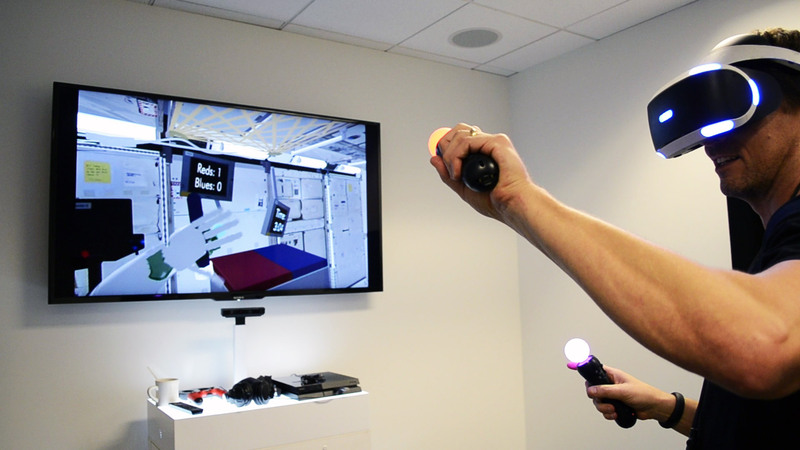 There are motion controllers too, called the Oculus Touch but will be available at a later time separately. There are about 50+ games available for it with arguably the best line-up of games to show of the VR experience. The HTC Vive was a surprise player to announce its arrival into the VR space, having the backing of gaming giant Valve and its SteamVR initiative. HTC is taking a similar but different approach to VR with the Vive, while the Oculus Rift is more of a sit-in-place and look around kind of affair, the Vive encourages you to move around and experience the VR world in a true Virtual 3D space that can be moved around in. That also means it requires a larger space and extra setup to use. The final retail edition comes with the headset that has screen with a combined resolution of 2160×1200 with a refresh rate of 90 Hz, but unlike the Oculus it comes with 2 Motion Controllers and 2 Base Station Sensor Docks and a Link Box for them all to sync into, which ties into the large space needed to set up all the stuff needed to run it. If you have space and the money which is $800 (Rs.54, 000) for the final version, the HTC Vive is at the moment one of the only way to truly have a VR environment you can move around in along its own impressive library of games backed by steam. Note that you will need a powerful PC for the flawless VR experience and here is list of Best Gaming PC Build for Under $1000 (Updated 2018). While the Rift and the Vive are primarily and exclusively the PC gamer’s playthings, Sony has its own answer in the PlayStation VR formerly known as Project Morpheus (which was a much cooler name IMO) for the PlayStation 4. Similar to the others it consists of a headset with a 1920×1080 screen with a 120Hz refresh rate, but with a separate external render box that helps to split the video signal to the headset from the console. It also requires the PlayStation Camera to use it which isn’t part of the bundle, also not part of the bundle are the needed PlayStation Move Controllers. That’s why the PS VR headset is attractively priced at $400 (Rs.27000) with the camera and controllers adding another Rs.10000 or so. This makes it a very popular choice in the VR market releasing in October this year. There are other companies that are coming out with their own versions of VR headsets too, with the likes of Razer also showing off prototypes and the mobile world having its own versions like Google Cardboard and Samsung Gear VR and Lenovo equivalent. Microsoft even has an AUGMENTED REALITY headset called the HoloLens but that’s a whole different story for another time. So now that we have an idea about the players in the market and their various specs, let’s get into the real reason of this article, the end consumer, the guys n gals who want to have the best VR experience are not only hard for choice but like I said earlier we haven’t even pointed out the elephant in the room yet, MINIMUM REQUIREMENTS to even run VR. 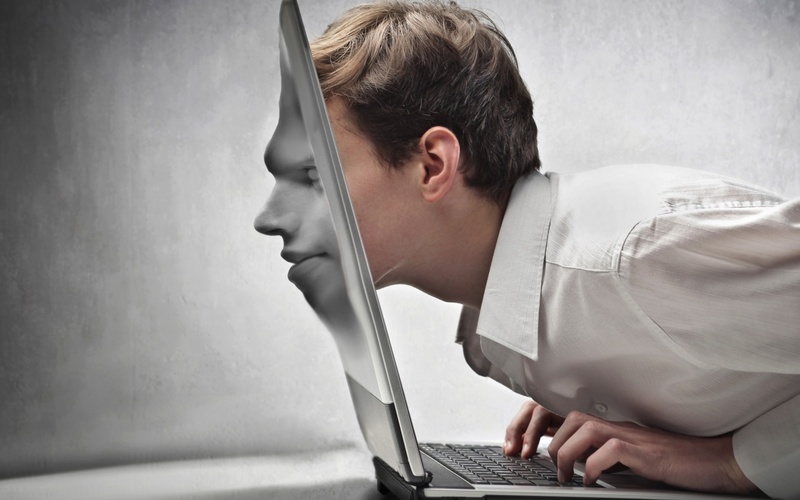 You see VR needs a stable high frame rate and refresh rate to give a smooth experience, the Oculus, and the Vive have each 90Hz displays in front of your eyes at high resolutions, so to run games at those resolutions and frame rates you will need a seriously beefy machine because any drops in frames or slowdown that occurs cause the bane of all VR games MOTION SICKNESS, it can make u really ill after a while if the game isn’t running well and to make them run well the MINIMUM requirements are an Intel i5 and Nvidia GTX 970 or AMD equivalents with 8 GB RAM, with recommended specs going into the highest end components which are extremely expensive, this is after you factor in the cost of the headset itself. So if this is the new wave of hype that pushing this new tech, it’s massively overpriced (just like all new tech) and not really aimed at the mass public properly, at least in the PC market. such a thing isn’t possible in the PC market with the huge variety of combination of PCs out there. Sony also has a huge line of AAA and independent studios working on exclusives for the PS VR that will surely show off the tech in all its glory. That’s the case with all new tech out there, it’s going to be pushed out fast, it’s going to be ridiculously expensive and it’s going to be all shiny and new and you won’t be able to hold your drool back looking at them. But don’t be fooled my friends hold back those temptations, wait out those months where the tech will only get better and the new iterations and better models of the products will come out, at this moment all the hardware and software available for VR in my opinion isn’t worth the price of the early jump in, let it mature, with the release of the PS VR later this year we’ll get a proper idea of where VR stands but as of now I’d say hold on till 2017 to see some improvements. 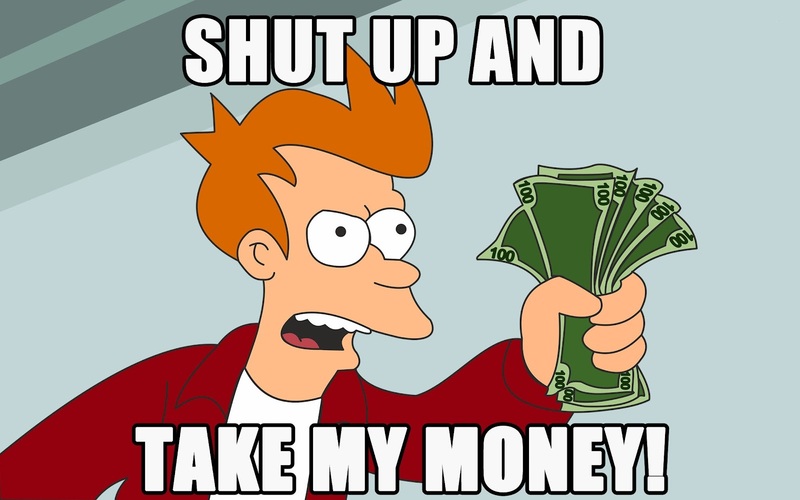 Or if you have the money, go crazy and buy a Rift or A Vive, build the VR machine of your dreams, with some vendors already providing VR ready branded PCs from the likes of Dell and ASUS, It is truly one of a kind experience and is a must for anyone looking for a new and awesome to try. Just don’t forget to invite me to come over to play too! Asura Can Be The Mainstream PC Game From India, Launches on Greenlight!